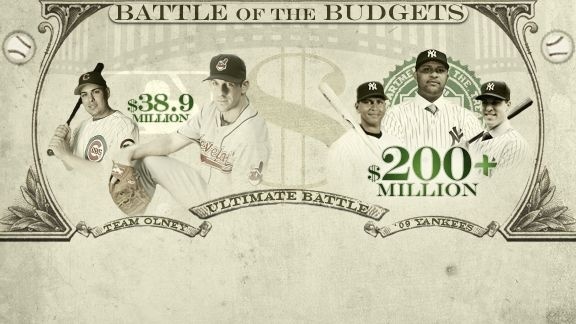 The average Major League Baseball salary a little over three million dollars. Good work if you can get it. Of course, few can get it. And before becoming a Major Leaguer a ballplayer has to make his way through the Minor Leagues where the pay scale isn’t as generous. In fact, lower level minor league players barely make minimum wage. Minor league players typically sign seven year contracts, with come with a standard pay scale for these seven years. But it is important to note that players also get signing bonus with these contracts, which are not included in this pay scale. First round picks will get multi-million dollar signing bonuses and it isn’t uncommon for second to fifth round picks (as well as players who are deciding between pro baseball and another college sport) to get bonus well into the six figures, if not topping a million. The last pick in the draft, which goes forty rounds, is slotted for a $10,000 signing bonus. This is the Minor League baseball pay scale for a player’s first three years, as of 2010. Minor league pay scales can also be different for foreign players because of immigration policies and the fact that they hadn’t been subject to the draft, and thus were all signed as free agents. 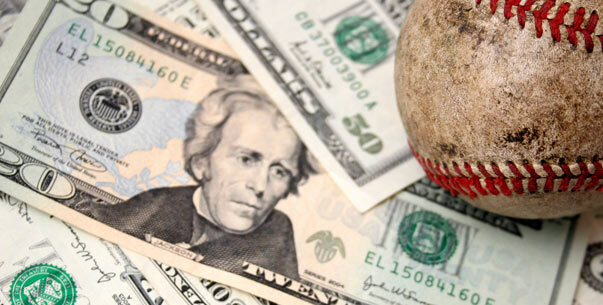 Minor league players also get twenty dollars of meal money every day their team is on the road. Minor League players don’t get paid for participating in spring training, but do get twenty bucks for every meal the big league club doesn’t provide. Minor league players also get bonuses based on service time. There is a five hundred dollar bonus after sixty days in Double-A, a $1000 bonus for sixty days of triple-A time and 5000 bucks if you make it to the majors on a minor league contract for sixty days. Players in the Dominican and Venezuelan summer leagues, which officially part of MLB’s minor league systems, get salaries of no lower than three hundred dollars a month. As you can see, nobody is getting rich playing minor league ball. In fact, in the lower levels a minor league player would be barely squeaking by, especially if he didn’t get drafted and receive a signing bonus. But by the time a player reaches triple-A he starts to make what approaches a decent living. Some triple-A players actually make a good deal of money. This would include any triple-A player on the big league club’s forty man roster. If a player is on this protected list he will receive $65,000 a year when he is in the minor leagues — meaning about half the players on a triple-A team will be making at least this salary. If the a player on the forty man roster is called up to the majors he will get the league minimum of $495,000 prorated for whatever big league service time he accumulates. Minor leaguers who have played more than six years are minor league free agents are also free to negotiate triple-A contracts with the parent club. These players can often get six figure minor league deals, particularly if they are former major leaguers.